MOSCOW, August 07./ITAR-TASS/. Pilots of civilian aircraft have reported incidents of failure of the GPS system in Moscow air space on Wednesday evening, two sources from the air traffic control service told ITAR-TASS. One of them reported mass incidents of failure of the GPS system on board aircraft with reference to reports from at least twelve air crews. The other source told ITAR-TASS that late on Wednesday around ten air crews reported incidents of failure of the GPS system, which was off for 5 -10 minutes, at the altitude from 9,000 to 10,000 meters. Since the GPS satellites make assumptions on their location based on the assumption that the globe will be turning under it, rotating, at a regular pace and not have a wobble, the Earth wobble obviously will at some point start to interfere with the GPS system. Since the presence of Planet X is being denied, at present, what to do? Can't admit there is an Earth wobble, even though this is apparent to anyone taking careful measure of where their sun rises and sets, as then the conversation would turn to what might be causing the wobble. In the meantime, blame the US Air Force. As satellites failure began to be a problem the Zetas had detailed the reasons Planet X and its charged tail cause failure. reason for failure is electro-magnetic pulse, increased meteor and dust that erodes mechanical operation, and the Earth wobble. It has been known for years that technicians have had to tweak equipment to keep their sats in line of sight, and failure is now increasingly occurring for that reason. During the Earth wobble, the N Pole of Earth takes a daily figure 8 turn, so the Earth moves under its atmosphere to some degree. However, per the Zetas, the atmosphere also drags along with the Earth, so this is not a complete disruption of Earth to satellite communications. Man assume his atmosphere extends for only a few miles, but air drifts off for a much longer way. Now take a satellite, which is claimed in the charts to be 'above the atmosphere'. It's in a thin soup, but it's in a soup, and this soup is clinging to Earth! It move with the soup it came from, as matter attracts and clings as well as repels, thus the constant dance. Satellites move with the Earth when it wobbles as the air is dragged along, as it clings to itself too, as well as clinging to the Earth. What is the competition for this? Outer space? There is no pull or clinging coming from that direction. It's a one-way hug! Earth and the soup of the heavier atmosphere wins! The satellites go along! GPS satellites form a network, a spider web of satellites that communicate with each other in order to maintain surveillance of every part of the globe at all times. Commuters in Bristol have been left in the dark after a fault the GPS on first busses. The system, which allows people waiting for buses to see how far away they are, has been “having some issues” according to a tweet from the bus company. Bus users have reported that the bus tracking system for several days now. First confirmed that they were aware of the problem, saying: “Unfortunately we are having some issues with our GPS system on our services, which is not allowing us to efficiently track our services. 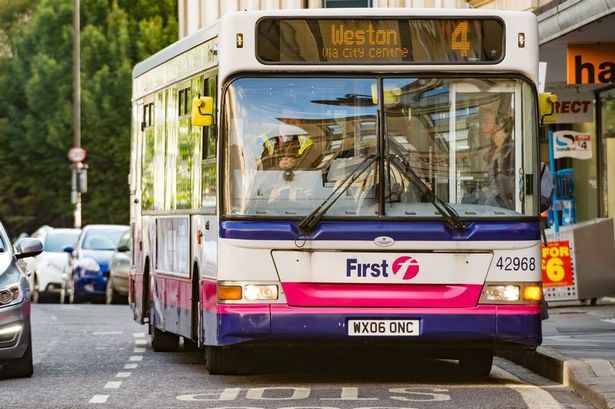 A spokesman from First said: “First is working with one of its technology suppliers to resolve a temporary issue which prevents accurate location data being shared with the council-operated real time information screens. We know how much customers rely on this information for their journey planning and would like to apologise for the inconvenience caused. A technical solution will be implemented as soon as possible”. A relatively innocuous safety alert from the U.S. Maritime Administration last month belied the dramatic impact upon vessel navigation in the area. The advisory was the result of a report to the U.S. Coast Guard from the master of a commercial vessel. Though safely 25 miles off shore in the Black Sea, for several days the ship’s GPS receiver showed it to be at an airport several miles inland. Perhaps more disturbing, the receiver showed its location accuracy to be within 100 meters. Over 20 vessels were reported to have similar problems at the same time and place in late June. Compounding the problem, the ship’s AIS anti-collision system, which uses location from GPS to display the locations of other vessels, showed multiple “ghost ships” where there were none. Analysis of other information provided by the ship’s master has led navigation experts to conclude that the vessels’ GPS systems were being deliberately deceived, or spoofed, by false GPS-like signals. Denying GPS service in a given area by transmitting a stronger signal on the same frequency, also known as jamming, is fairly easy. GPS signals are very weak, even compared to other satellite systems, and illegal jammers can be easily purchased online. Prices start at around $50 and increase with the size of the desired impact area. Spoofing a receiver, or forcing it to display false information, is a bit more difficult. Many believe that this was done by Iran in 2011 when it captured a CIA drone operating next door in Afghanistan. This belief was reinforced early the next year when a professor at the University of Texas demonstrated how it could have been done with a remotely controlled helicopter. Until a hackers’ convention in 2015, reports of spoofing had been rare. At that event, a Chinese researcher gave step-by-step instructions on how to build a spoofing device and sold kits for about $300. Several months later, U.S. Customs and Border Protection announced its drones were being spoofed by drug cartels, and reports of spoofing began to increase. The source and reasons for the incident in the Black Sea remain unknown, though for years there have been reports of GPS signal disruption in and around Russia. Moscow has been very open about its ability to frustrate U.S. and other forces by disrupting GPS. The Kremlin announced in 2016 that it had equipped over 250,000 cell towers with GPS jamming devices as a defense against attack by U.S. missiles. It has also boasted that its GPS jamming and other electronic warfare capabilities “make aircraft carriers useless.” Press reports have made it clear that Russia has used its capability to regularly jam or spoof GPS signals in both Moscow and Ukraine as part of its internal security and international operations. Other nations disrupt GPS signals for their own purposes as well. North Korea has often disrupted service in South Korea, and China has done so to counter U.S. drones in the South China Sea. Jamming and spoofing equipment is so inexpensive to obtain and easy to use, it would be surprising if any national military did not possess some level of capability. Jamming or spoofing GPS is not limited to nation-states. Terrorist groups, criminal organizations, even privacy seeking citizens, all have been found using illegal, but easy to obtain and operate, GPS jammers and spoofers. In one infamous case, a delivery driver attempting to defeat his employer’s fleet tracking system routinely disrupted landing equipment at Newark International Airport as he drove past on Interstate 95. It took federal and state authorities months to figure out what was going on and to catch him in the act. He is reported to have said that he was just looking to have a little time without someone looking over his shoulder. The June incident in the Black Sea is one of the most blatant and well-documented disruptions to date. It is the latest in a long series of events that should be keeping policy makers awake at night. This is because virtually every technology — cell phones, IT networks, financial systems, cargo and transportation systems — relies in some degree on one or more services provided by GPS. It’s why officials at the Department of Homeland Security have called GPS a single point of failure for critical infrastructure. A minor GPS system anomaly last year reinforced that point. When system operators removed an old satellite from service they inadvertently caused a very small, 13.7 microsecond, timing error in about half of the other satellites. This caused scattered faults and failures in receivers across industries and around the globe. Close to home, the U.S. aviation safety ADS-B system and most all the first responder radio networks in North America were among the technologies impacted. The way to virtually eliminate this threat to America’s safety and economy has been known for quite some time — pair strong signals on a much different frequency from a terrestrial system with those from GPS satellites. The combined signals would be virtually impossible to disrupt. In fact, the Bush administration announced that it would establish just such a system, called eLoran, in 2008. After years of delay and study, the Obama administration announced in 2015 that it had validated the eLoran decision and would build such a system to protect the nation. Yet bureaucratic inertia and lack of accountability have resulted in nothing being done. While Russia, China, Iran, Saudi Arabia, South Korea and others have eLoran-like systems to ensure themselves against disruption of weak signals from space, America continues at great risk. And it probably won’t be until the danger to America has been demonstrated by an attack or disruption that makes the evening news because of all the damage it caused. The good news is that Congress is beginning to act. A provision in the House version of the U.S. Coast Guard Reauthorization Act for 2018 directs establishment of an eLoran system to protect GPS and America. A report with the House version of the 2018 National Defense Authorization Act calls on the Departments of Defense, Transportation and Homeland Security to do a $10 million proof-of-concept demonstration for a GPS “backup and complementary system” in fiscal year 2018. The not-so-good news is that all these provisions are “subject to the availability of appropriations” and toss the ball back to an already reluctant bureaucracy. Given the high demands upon administration budgets and staff time, without at least a little funding, no action can be expected. But there is a bright spot. Most all those involved with this issue favor establishing the new terrestrial system through a public-private partnership. This has the potential to provide royalty-free public services to protect the nation, while also generating hundreds of millions of dollars in revenue for the government to more than offset its relatively small — as low as $10 million per year — subscription fee. Everyone in the Congress and administration the foundation has spoken with agrees with the threat to the nation and the need for a solution. Multiple government studies have identified the best technology. With the right business model, the government can make money instead of spending it. All that remains is an empowered leader within government and a little bit of seed money to get the ball rolling. But the administration is stuck in neutral. We need Congress’ leadership to protect America. Dana Goward is president of the non-profit Resilient Navigation and Timing Foundation. He is a retired senior executive service member and a retired Coast Guard captain. In his last government assignment he served as the nation’s maritime navigation authority. Galileo has been making headlines once again, and this time not for the right reasons. Galileo has been making headlines once again, and this time not for the right reasons. It was reported on January 18th, 2017 that several of the atomic clocks responsible for the satellites’ ability to calculate precise time have failed. Timing is everything in GNSS – very precise time is required to calculate an accurate value of the delay in receiving signals that have been transmitted from a given satellite. This allows users to determine their position on Earth accurately. Also, many applications today take advantage of the very precise timing that GNSS can provide via the atomic clocks in use on the satellites. Each Galileo satellite is equipped with four clocks. Two are Rubidium Atomic Frequency Standard (RAFS) clocks like those found in GPS and GLONASS satellites. The other two are the more accurate (and much more complex) Passive Hydrogen Maser (PHM) clocks that offer the Galileo constellation increased timing accuracy. Whilst only one clock in working order is required for each satellite, a minimum of two is required to provide redundancy. A PHM clock uses the properties of the hydrogen atom to serve as a frequency reference. It is a complex and high cost device but has a significantly higher precision than the Rubidium clock. Typically, PHM clocks are expected to have a 20-year lifetime. The ESA has since been able to remotely restart one of the failed PHM clocks, leaving only five PHM clocks offline. Meanwhile four RAFS clocks have failed – all of them on Full Operational Capability satellites. The ESA also stated the rubidium-based clock failures "all seem to have a consistent signature, linked to probable short circuits, and possibly a particular test procedure performed on the ground." India has had the same experience with RAFS clocks – it was announced that 3 clocks (one primary and two backups) on board satellite IRNSS 1a had failed. Whilst a total of nine clocks have failed, so far, no more than two have failed in a single Galileo satellite. Provided each satellite has at least one clock remaining, they can continue to function as normal. For now, then, these clock failures won’t have a direct impact on the performance or stability of Galileo. However, the impact to the IRNSS programme is much more severe - the failure of all three RAFS clocks mean that the satellite is totally unusable and will have to be replaced. India has already plans to do this later in 2017. That said, the clock failures highlight a concern that all members of the GNSS community should share: failure can happen at any stage of a GNSS system – from the satellite level, right down to the device or chipset firmware layer. Those involved in GNSS receiver design and integration need to be prepared to detect segment errors or failures at satellite level - whilst they are less frequent, they do happen. The industry has already seen the effects of a major malfunction of the GLONASS system in April 2014, thought to have been caused by the upload of corrupted ephemeris data. And in January 2016, because of a satellite decommissioning, faulty timing data was transmitted by GPS satellites, which affected thousands of users world-wide. Subsequently it was discovered that the incorrect timing data was flagged as being out of date. Receivers designed and tested to the GPS Open Service ICD rejected the incorrect data as being invalid and were not affected. It should concern the industry that many receivers accepted the incorrect data which was either 13 or 13.7 microseconds inaccuracy depending on the receiver’s use of the data. No GNSS system is immune to software or hardware failures. Manufacturers of GNSS chipsets and location-aware devices need to know how their equipment will respond in the event of a system segment failure (software or hardware). In the case of the GPS timing issue of January 2016, thorough testing against the GPS Open Service ICD would have highlighted any problems with data associated with an expired date/time. In the case of the GLONASS event, testing the receiver’s response to corrupt or incorrect ephemeris data could have provided an additional level of assurance/protection. If a receiver is unable to detect the difference between healthy and unhealthy satellite signals, it will appear to be operating as normal. But all the while it has the potential to output misleading positioning and timing data that could compromise business operations – and in the most extreme cases even be hazardous to the end user. Blind trust in the integrity of all received GNSS signals can be dangerous – it can leave the receiver open to being affected by a GNSS segment error and can also leave the receiver or system susceptible to deliberate spoofing attacks (a growing threat to GNSS users since the rise in popularity of Augmented Reality games such as Pokémon GO). It is possible to simulate a variety of real-life hardware and software failure scenarios by making the most of modern GNSS simulation equipment and rigorous test plans. With these in place, it is possible understand how receivers and systems will react to errors from all components of a GNSS system, and see the potential issues before they disrupt the user experience. Galileo is rightly being hailed as a major success story for Europe; Commissioner Elżbieta Bieńkowska, stated in December: "Galileo offering initial services is a major achievement for Europe and a first delivery of our recent Space Strategy. This is the result of a concerted effort to design and build the most accurate satellite navigation system in the world. It demonstrates the technological excellence of Europe, its know-how and its commitment to delivering space-based services and applications. No single European country could have done it alone." The ESA and the European Commission (EC) have the required technical and programmatic expertise and knowledge to improve the situation with the Galileo clocks that will be onboard future satellites. 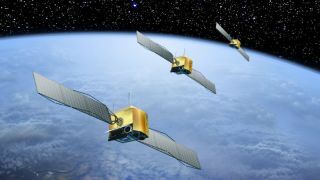 Launching a new satellite navigation constellation is not a trivial undertaking and many important lessons have been learned by Europe on the pathway to making Galileo a valuable and sustainable global satellite navigation constellation. If this is EMP related, electric cars with electronics would falter, basically stopping on the road, Keyless cars wouldn't allow access etc. Those days are soon coming. Recent reports mostly originate from: Toronto, Ottawa, Mississauga, Scarborough, Maple, Edmonton, Hamilton,Burlington, Brampton, and Guelph. Recent reports mostly originate from: Milwaukee, Janesville, Chicago, Madison, Beloit, Baton Rouge, Houston, Columbia,Watertown, and Monroe. The incident in January which saw 10 US sailors detained by Iran’s naval guards was caused by repeated crew errors, Foreign Policy magazine has revealed. The sailors had never traveled such distances before, got lost with GPS and their engine broke down. The 10 US sailors on two small riverine armed craft were detained in mid-January by naval units from Iran's Revolutionary Guard Corps off Farsi Island in the Persian Gulf. The humiliating scene with American navy members kneeling in surrender on deck was filmed by the Iranians and quickly made headlines across the world. Coming just days before a historic nuclear agreement with Iran, the incident could have rapidly escalated into an international crisis – but it also raised questions about the US Navy’s capabilities and its readiness to operate in uneasy Gulf waters. The fiasco can be put down to a number of reasons, according to an ongoing Navy internal investigation. Several people – including from the White House, congressional officials, and others familiar with the details – shared information with Foreign Policy on condition of anonymity. The Arianespace-operated flight of a Russian-built Soyuz ST-B (Fregat MT) launch vehicle ended in embarrassing failure on 22 August 2014 after the launch vehicle deposited two EU/ESA Galileo navigation satellites into the wrong orbit. The lift off at 1227 GMT from the Sinnamary launch site near Kourou, French Guiana appeared to go well. However, a failure was only apparent later when, after the second firing of the Fregat MT upper stage had taken place, the satellites were detected in the wrong orbit. It is now believed that while Fregat MT upper stage fired correctly and with the correct amount of thrust, an orientation error during this second burn left both Galileo FOC FM01 and Galileo FOC FM02 satellites in an incorrect orbit of 25,900 x 13,700km at an inclination of 49.7 degrees rather than the planned 23,500 x 23,500 km at 55.0 degrees inclination. While the spacecraft could recover the 10,000km difference in altitude for the perigee using their own on-board fuel, there is not enough fuel to correct for the inclination error as well. The result is that both satellites are effectively lost. Neither satellite is believed to have been directly insured. The Galileo constellation which is meant as a European equivalent to the US GPS navigation satellite constellation has had a chequered start. While differing from the newer FOC (Full Operational Capability) Galileo satellites like those lost in Soyuz launch failure, three of the four test Galileo spacecraft previously launched are reported to be having signal power issues. For Arianespace and RSC Energia (the maker of Soyuz) and especially to NPO Lavochkin (the maker of the Fregat upper stage) the failure is a blow. Unlike Western-built launch vehicles which tend to reach a “nirvana” state of zero launch failures after a period of early losses, even experienced Russian-built launch vehicles and upper stages are noted for having a stable but never improving failure rate. Critics cite problems with quality control at Russian space manufacturing plants. The pilots reported that satellite navigation inside completely disappeared. the night of the sixth to seventh August recorded a loss of GPS signal over the airspace of Nizhny Novgorod and Voronezh. 11 emergency reports from pilots received concerning the situation of Voronezh and one communication failures in Nizhny Novgorod.